Google announced on Tuesday (18) the Android Wear operating system for smart watches.The news confirms information released last week that the company would enter forcefully into the “wearables” market, “wearable” devices. 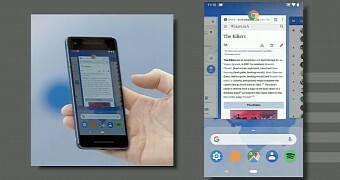 According to a video posted on the official Google Mobile site on YouTube, the interface of the clocks that use the system will be similar to that of Google Now, a personal assistant on smartphones with newer versions of Android – such as Moto X, developed by Google when Motorola had not yet been sold to Lenovo. For now, there is no confirmation that the company will launch a watch manufactured in partnership with LG, which already produces the Nexus line. Some smart watches have already used the Android system for smartphones as a base.Samsung exchanged the software for that of Tizen, whose development is partly the responsibility of the South Korean company, along with Intel, Panasonic, Huawei, among others.Sony’s Smartwatch 2 also runs Android in its version 4.0 (Ice Cream Sandwich). Watch the release video below. ZoneAlarm Anti-Spyware FREE for Download! Today ONLY!